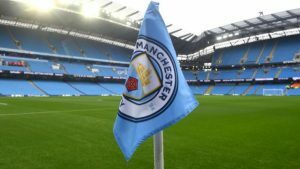 One may think that a supporter club like the Manchester City F.C. – Sierra Leone Branch’s main focus will be simply enjoying the game of football, but for those who are participating in this support club, it goes much further than this. To begin with being a player for the Manchester City F.C. Sierra Leone Branch, it gives them a sense of pride. As they develop their skills and portray these in their game play, they feel a sense of accomplishment. It helps to provide the players a sense of purpose. Most importantly, it builds their self-worth by allowing them to receive a very small amount of pay as a player in this football club. They only get about 80 pence per game but this very small amount can make a world of difference to them, as many of the players have no other source of income. What people don’t realise is that many of the players are virtually homeless and have no form of employment. They are living day by day in destitute conditions. The only bright spot in their day is knowing that they are part of Manchester City F.C. – Sierra Leone Branch player and this gives them the courage to go on. These players know that they are not alone in their troubles and while they may not have money or a home to go to, they have each other. If there ever was a perfect example of what the value of a team is to each other then this would be it. Without having the football league to participate in, the existence of these players would be totally bleak, so for them, the existence of this support team is having a major impact on their lives. This holds true for both the young and the senior teams of the Manchester City F.C. – Sierra Leone Branch.